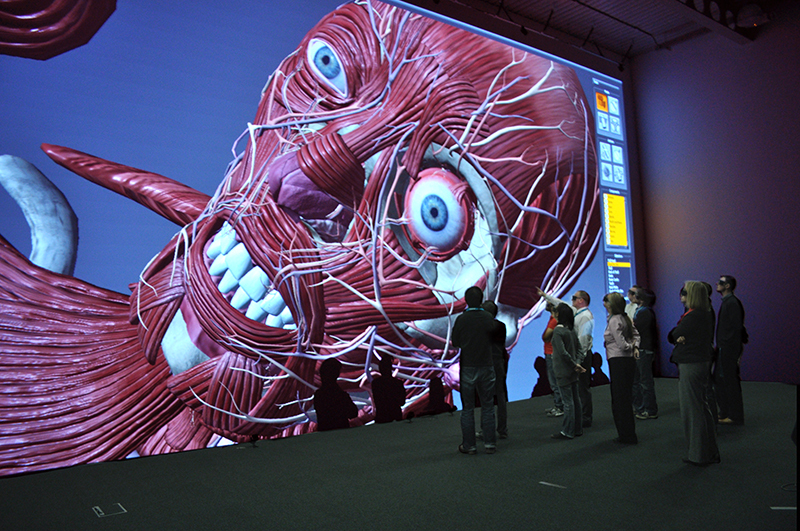 Manchester (UK), 9 November 2016 – Based in Glasgow’s Digital Media Quarter, Glasgow School of Art’s School of Simulation and Visualisation (SimVis) – formerly The Digital Design Studio – is an immersive visualisation centre for commercial and postgraduate research where the highest quality visualisation is the very nucleus of every project undertaken. State-of-the-art technology is of paramount importance for SimVis. 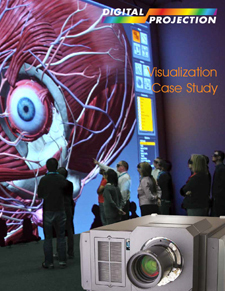 Guided by the expertise of Antycip Simulation, the need for a high brightness, 4K resolution, 3D stereoscopic projection solution was fully met by Digital Projection’s INSIGHT Laser 4K. 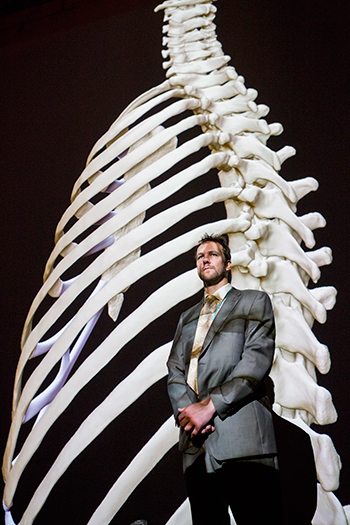 SimVis operates across three main areas: research such as cutting-edge medical and heritage visualisation, commercial projects and academic research from a number of post graduate degree programmes. 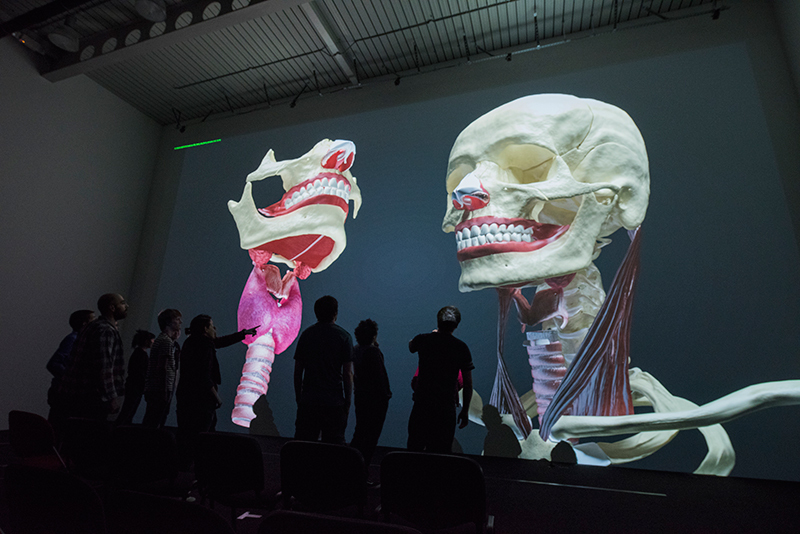 Though each area is self-funding, large amounts of the commercial and medical research seeps into the academic arm so students are continually exposed to a broad range of projects from virtual reality computer games to heritage visualisation. 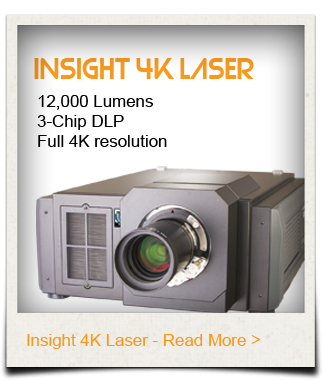 The INSIGHT Laser 4K offers 12,000 lumens of solid-state illumination at an advanced resolution of 4096 × 2160, well-suited to the needs of visualisation where image detail and image stability are of the utmost importance. 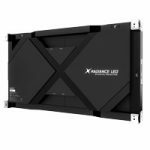 The consistent solid-state illumination performance of the Insight 4K from Digital Projection ensures impressive images and limited maintenance, saving both time and servicing costs. To enable such a large image from a relatively short distance a specialist Schneider lens was selected. 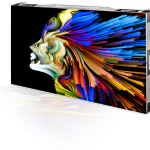 The image is geometry corrected using VIOSO’s Anyblend software to correctly address and map the display surface. Antycip Simulation engineers carried out the single phase installation in under a week. A custom projector mounting platform was assembled to elevate the INSIGHT Laser 4K projector. I-beams tracking across the theatre infrastructure prevented a ceiling mount. The engineers also attached the optics before finally addressing the geometry correction to the projection axis. 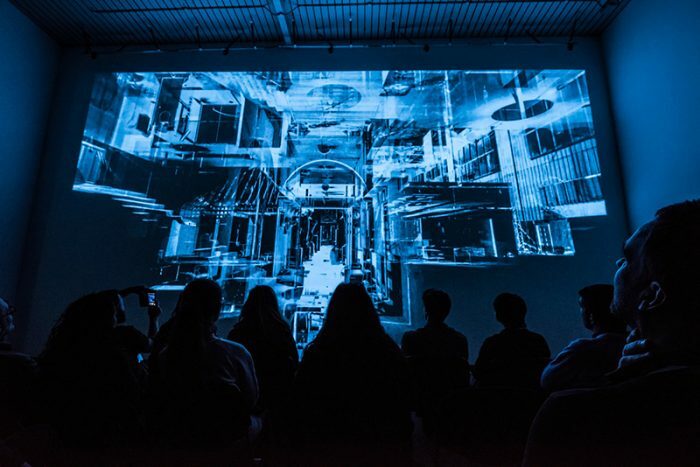 Completing the full solution, an array of over twenty Vicon spatial tracking cameras track dynamic entities, using the tracker software, and Volfoni RF-based VR glasses enable the 3D capabilities to be realised by the audience.